CARSON CITY, Nev. – Carson City-based Shaheen Beauchamp Builders LLC has been nominated to receive the Nevada Excellence in Design awards by the Nevada Chapter of the American Institute of Architects for their work on renovations of the Mutual of Omaha Bank in Carson City in 2013 and 777 Center in midtown Reno this year. According to the organization’s website, the AIA Nevada Excellence in Design program recognizes achievement in areas of architectural activity in order to elevate architectural quality and establish standards of excellence in design, while advocating for sustainable architecture. Shaheen said the objective of the Mutual of Omaha Bank building, situated at the corner of Carson Street and US Highway 50 in Carson City, one of the major corridors leading into downtown Carson City, was to improve building efficiency and update the curb appeal of the building. Shaheen Beauchamp Builders also received the 2016 Summit Award for Mixed-Use Development of the Year from the Northern Nevada chapters of Certified Commercial Investment Member Institute, Commercial Real Estate Women and NAIOP, the Commercial Real Estate Development Association for their work on 777 Center, which housed the old Maytan Music. The building re-emerged into mixed use retail space featuring boutique shops and services along with eating and drinking establishments. Awards will be announced on Dec. 14 at the AIA Las Vegas Holiday Gala. Photo cutline: Award-winning design work on 777 Center in midtown Reno transformed the old Maytan Music store into mixed use retail, dining and shopping space. Photo by Asa Gilmore. About Shaheen Beauchamp Builders, LLC: Shaheen Beauchamp Builders, LLC, a commercial general contracting firm founded in 1998 by Jeff Shaheen and Mark Beauchamp, has built millions of square feet of industrial, office and retail space throughout Northern Nevada. Located in Carson City, Nev., Shaheen Beauchamp Builders offers renovation, remodeling and new construction services and prides itself on astute attention to detail and customer satisfaction. 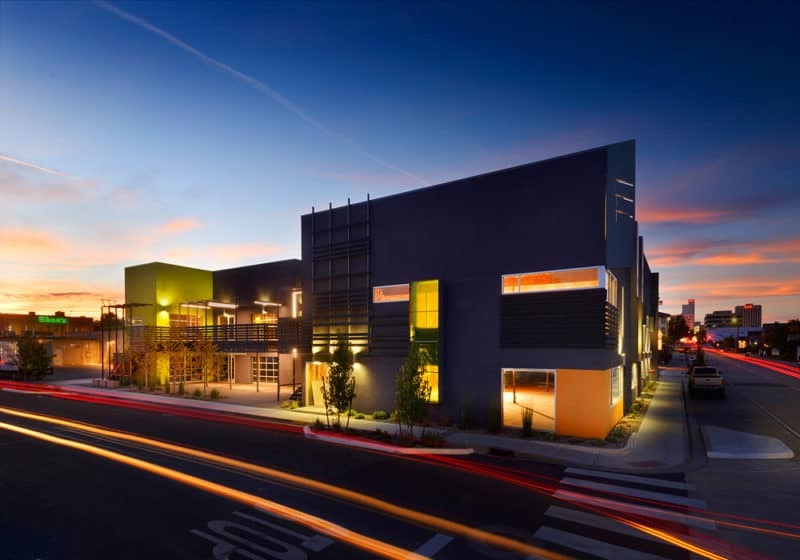 Notable projects of the company include the renovation of 777 Center Street in Midtown Reno, Carson City Animal Services, Carson Medical Group Obstetrics and Gynecology and Pediatric Clinics and the Click Bond, Inc. campus in Carson City. For more information, visit www.sbbuilders.com or call (775) 885-2294.